A pregnant whale washed up in the Italian island of Sardinia last week - with 49lb (22kg) of plastic in her stomach alongside her dead fetus. The plastic included garbage bags, fishing nets, lines, and tubes, among other objects, Luca Bittau, President of the SeaMe group, told CNN. 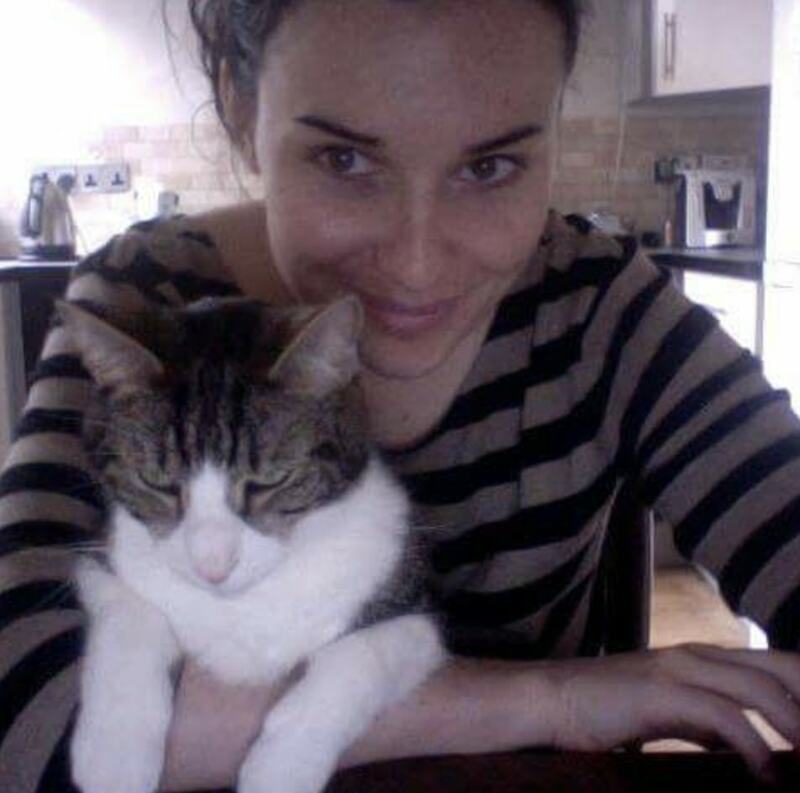 "She was pregnant and had almost certainly aborted before (she) beached," he added. "The fetus was in an advanced state of composition." Vets will carry out examinations on the carcass to determine the cause of death. 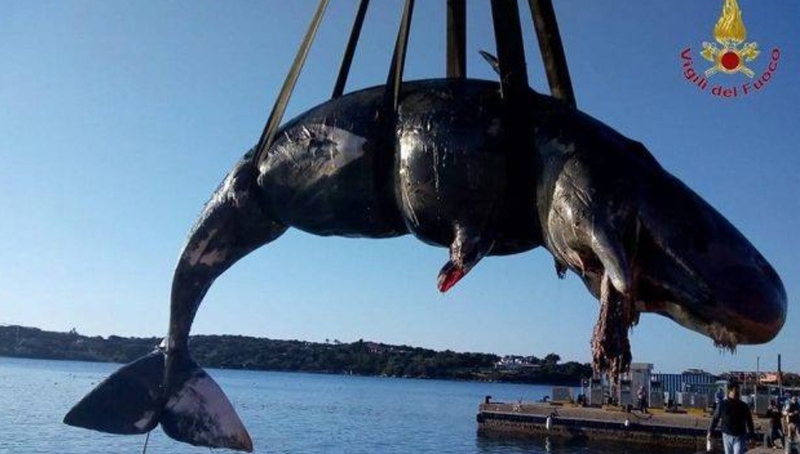 "This spermwhale was found dead in porto cervo in Sardinia: in the belly had a fetus and 22 kg of plastic...Are there still people who say these are not important problems? For me they are, and they are priorities," Italy's Environment Minister, Sergio Costa, said in a Facebook post. "We've used the 'comfort' of disposable objects in a lighthearted way in past years and now we are paying the consequences. Indeed the animals, above all, are the ones paying them. "Italy will be one of the first countries to implement [an EU law banning the use of single-use plastics by 2021. The war on disposable plastic has started. And we won't stop here." The incident follows another whale washing ashore with a staggering 88lb (40kg) of plastic in his stomach last month. The Cuvier's beaked whale had shopping bags, rice sacks, and banana plantation bags in his stomach. Marine biologists from D'Bone Collector Museum in Davao City said the whale died from 'gastric shock' as a result of consuming the plastic. "The final cause of death is in for the death of the juvenile male curvier beaked whale we recovered on March 16," said a statement on the D'Bone Collector Museum's Facebook page. 40 kilos of plastic bags. Including 16 rice sacks. 4 banana plantation style bags and multiple shopping bags. A full list of the plastic items will follow in the next few days. "This whale had the most plastic we have ever seen in a whale. It's disgusting. Action must be taken by the government against those who continue to treat the waterways and ocean as dumpsters."